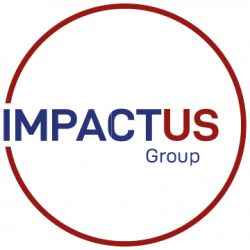 The following are a selection of those people and businesses that have enjoyed working with, and benefited from a relationship with IMPACTUS GROUP – Particularly, though not necessarily exclusively, Nick Bramley, Director of Impact (CEO). Nick did a great job of producing and delivering a bespoke half day course on Commercial Awareness from an agreed scope. Following a one hour briefing a couple of weeks in advance, Nick immediately was attuned to the issues we wanted to address and developed directly relevant and engaging material, with practical examples and exercises to suit our needs. His delivery on the day was very well balanced for the mixed audience that attended, with staff at all levels providing positive feedback afterwards. Nick is a rare one. He does what he says he will. A great no nonsense Guide, Trainer, Mentor around all things sales & customer development. He’s also quite funny too. A pleasure to work with for over fifteen years. The folk that listen to Nick and take his advice are always a success in my view. I attended a Networking training session hosted by Nick and really enjoyed it. Nick is warm, funny, knows his subject and engaged the audience for the entire session. I came away with a variety of tips and advice that I’ve been able to implement immediately into my work. Would thoroughly recommend Nick and look forward to opportunities for working together in the future. Nick is a fantastic trainer, I have been lucky enough to be both a participant and also an organiser for his training sessions and neither have disappointed. As a participant, Nick helped me to engage well with the topic and overcome a number of concerns and fears I had around Networking. To work with Nick as a colleague was also an absolute pleasure, he is reliable, organised and engaging and delivered a great session for our students on Networking, which received excellent feedback. I would recommend Nick as a trainer, whether you are looking to attend a session or looking to organise one. Nick immediately understood our proposition and how to best communicate that to potential clients. His sales workshops are engaging and most importantly they lead to ACTION — and his vetting skills for sales hires has been especially helpful. 100% recommended. I’ve known Nick for around twelve years now. Over that time I’ve attended Nick’s work seminars on sales techniques and processes. Nick delivered a series of modules on behalf of Goldman Sachs for small businesses and more recently has helped me individually with a bespoke process to facilitate my business growth. I’ve met a lot of sales coaching related people over the years and Nick is a chap who says it like it is. No nonsense, straightforward help and mentoring from a highly experienced professional who is well respected and connected. Nick hosted and facilitated a great strategy session to create a 2019 action plan from our 5 year vision document. it was great to kick start the year with some fresh ideas and some focus and the feedback from everyone across the business has been so positive. Now let’s put the plans and ideas in to action and review in six months time. I first met Nick when he was involved in delivering the sales strategy aspect of the Goldman Sachs 10,000 Small Businesses Programme back in 2012. He did such a good job that over the years we have used his services as a coach for training the management team and all our staff and can credit him for the success of our business. I would sincerely recommend him. Nick recently ran a practical sales workshop for me, delivered to local businesses at The University of Bradford as part of the ADVENTURE project. All participants rated his session highly, commenting in particular on Nick’s knowledge, experience and trademark enthusiasm for his subject. Having attended Nick’s training sessions myself in the past, I’m happy to recommend him to any organisation or individual who needs help taking their sales planning and activity to the next level. Engaging, humorous and very knowledgeable presentation and sales training. Up there with the best public speaking / presentations I have seen. I’ve done two events with Nick now and both have been brilliant. He has a real knack of making people feel at ease and helping them learn key skills without lecturing or patronising. Hope to work with you again soon! Having seen Nick in action at a group event I attended, I realised there and then that he was the man to roll out some significant changes in our business.Unique, personal and engaging, certainly a break from the ‘academic’ norm when it comes to working with a team. Following the roll-out, the feedback has been fantastic. Never before has our team accepted ‘change’ so well.Would highly recommend Nick and his services to any firm and we will certainly be using him again. Nick has been working with Quality Context over a number of years on and off to help us fine tune our marketing materials, train our staff in business development and help us with our sales and business development objectives. He is very personable and has a wealth of experience and skills in sales techniques and strategies. He has helped every member of the team to feel more confident in their own ability to develop and promote the business. He has given us some great pointers and tips and helped us to develop some longer term business strategies. Nick is a pleasure to work with and I would not hesitate to recommend him. Think you have seen a great sales training presentation?……..think again! Nick provided the team at Shine with some recent sales training. We found the sessions both insightful and informative. We would highly recommend Nick for any sales training as the team has come away feeling refreshed and focused. If you have ever tried to get through to someone not expecting your call, it can be tough. Nick shared a simple confident approach that works more times than not. He also coached the use of the 15 seconds introduction script you need for your business. Priceless……. It’s more about how he communicates that makes these things stick. Don’t allow your lack of sales know-how to get in the way of bringing value to more customers. Nick is well worth hiring. I attended two sessions delivered by Nick. By far, they are the best workshop I have ever been to. Fun and full of actionable tips. If you ever need any help with any workshop for internal training or personal improvements, I would highly recommend you give Nick a call. Energetic delivery and outgoing approach are the qualities with which I can describe Nick. I had the pleasure to attend two workshops delivered by Nick recently. The presentations were dynamic, with deep knowledge of the subjects and the right amount of humour. I was impressed with Nick’s ability to add interactivity to the presentation content and keep the audience highly engaged. Nick is very approachable person and willing to help. As an aspiring entrepreneur, Nick earns my highest recommendation. I met Nick as part of a one-on-one training session to help me fine-tune my negotiation skills with vendors/suppliers. Nick is a true professional, and I highly recommend him for sales and negotiation training. When I met Nick, I was impressed by his professionalism which was demonstrated by his preparation and research on my company, my role, and the industry and market in which I work. Because of his preparation, Nick was able to spend our training time learning about my personal strengths and challenges so that he could tailor the training to my needs, instincts, and communication style. Nick used his years of experience to take complicated concepts and challenges and find effective, easy to apply solutions. He also used his talent for crafting dynamic and positive language to enhance my communication with clients, vendors, and team members. Nick has recently started working as a part-time consultant with our Business Development teams, and I’m delighted to have the chance to work with him again. Whether as a trainer for individual employees or as a part of a larger team, Nick is truly an asset to any company! Nick is an excellent business development resource to have. His knowledge and experience has proven very valuable as we advance equality, diversity and inclusion across the UK and beyond. We have been delighted to invite Nick for the third time to the Dept. of Biology, University of York, to speak to our Masters Bioscience Technology students on the topics of Marketing, Networking and the professional use of Social Media. Nick is very engaging and really gets his message across to the students. They enjoyed their sessions with Nick and absorbed his teaching. We look forward to working with Nick again next year. Very pleased I attended the networking skills workshop presented by Nick under the Ad:Venture scheme. Nick is a networking expert. He utilised role play and scenario analysis to help us mentally prepare step by step how to prepare for and be effective in networking events, howto approach people, start a conversation and finish a conversation. I learnt a lot of hands on techniques and tips and I’m confident in future networking events, I will achieve a treat deal more with the mindset of a reasonable objective and always try to put other people at ease. Nick is an energetic trainer who helped me develop a new approach to networking coaching. He inspired our young people to try something new and the programme has become a fixture in our regular training and events calendar. I attended a course Nick was running on behalf of Goldman Sachs and Manchester Met University. Making the topic of sales engaging to an audience of business owners could be difficult to pull of for some, but not for Nick. He is an effective presenter, with a good balance of humour, knowledge and advice. I could see that Nick would be able to adapt for different audiences. I would imagine he would be excellent at developing sales people and professionals. I worked with Nick for 18 months as both a training provider and as a Business Coach. It is fair to say that Nick’s influence has been a fantastic motivator to me on both a personal and a business level.Our sessions are always results focused and motivational. I look forward to continuing our relationship long into the future and would recommend him without hesitation.